Nothing is known of the actual village of Buttsbury which is thought to have been situated around or very near to the Church but its high position indicates the probable existence of a village. 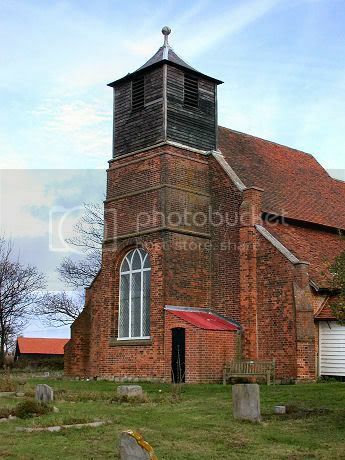 Buttsbury Church is situated midway between Stock and Ingatestone and was built in the early 14th century. 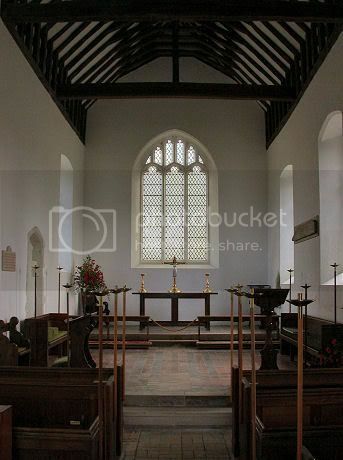 It is small; the nave and chancel combined, being only 28’ long and 21’ wide. There are two small aisles to the north and south and the complete ceiling has had the plaster removed, to show the oak beams. The two doors are very old and the Tower is square and constructed of flint and stone. There is one bell only which was cast in the 15th century, probably by Henry Jordan. Part of the floor is brick which came from the potteries of Stock and which hold two tombstones, dated 1680 and 1688. The N door displays some wonderful medieval metalwork, with some dating from 13th century. Today the church stands alone and is surrounded by farmland and the ‘Wid’ valley. From the tower, seven church spires can be seen. In Medieval times, the nuns from St. Leonard at Stratford, regularly came to stay at Buttsbury and worship there. The cache has a log book but no pen so please bring one with you. PLEASE REPLACE THE LOGBOOK IN THE ZIPLOCK BAG AS THIS KEEPS IT DRY !! If any body would like to expand to this series please do, could you please let sadexploration know first so he can keep track of the Church numbers and names to avoid duplication.